Two cards for you today. This first one started life because of The Card Concept theme - use an umbrella. Am I too grungy to be clean and layered? I bought the Tim Holtz die a few months ago and rather than cut a dark silhouette I wanted to use bright colours. So I cut it in white, then swooshed it through some spritzed Distress Inks. Conveniently, some new stamps arrived from STAMPlorations which had the perfect sentiment. The stamps will be available to buy in May (go here for details of the stamps and a blog hop). This next card is for Just Us Girls Colour Challenge (any blue and any orange - my orange is spiced marmalade - sploshed on, of course!). And it's also for Moxie Fab World - Hip On Handwriting (use your own handwriting or something handwriting-inspired). Hey Shirley! 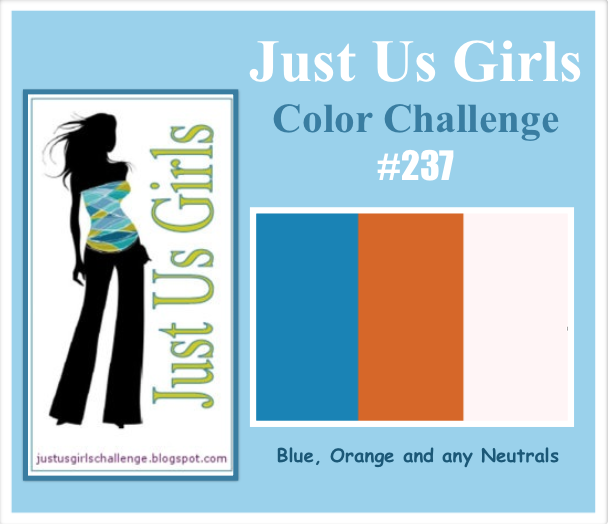 Great to see your card over at Just Us Girls! Love what you have done here! The bird looks hand drawn...did you do that or is it a stamp? Love it! Thanks for joining us! Take care! Two great cards Shirley. Love the coloring on both. I love your little birdie! What a great card! Thanks for joining us at Just Us Girls! WOW! You have really out-done yourself today, Shirley! Your first card is so cool...I love all the water coloring on the die cut and the big bold sentiment is perfect! And, I think it's spot on for clean and layered! Your bird is absolutely gorgeous! 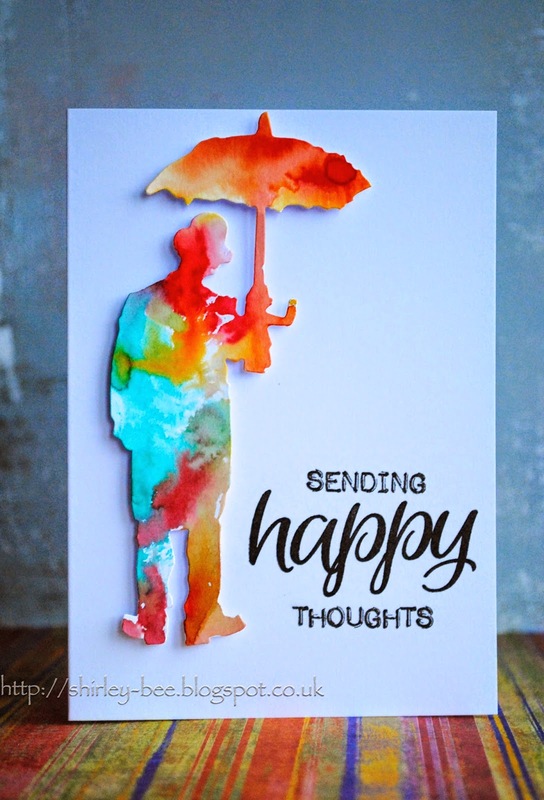 I love the color combo and how you played with your water colors on this card...it's really beautiful! Love both cards but that 1st one is just brilliant. Eyecatching, love love the colours. GREAT cards, Shirley! Love how you gave the umbrella man some colors instead of just the plain old black silhouette. I certainly feel happy looking at your bright umbrella man! And I just wanted to pop on over to tell you that I spotted your ATC's on the Magenta site - love the "Don't sweat the small stuff" one. Your bird card is so cool! Love the watercoloring, so soft and pretty. Your designs are amazing. Thanks for playing with us at JUGS! awesome cards Shirley...love the umbrella man...great colours! LOVE,LOVE, LOVE your multi-coloured waterolour!!! Two very nice cards. I like the wonderful coloured man with umbrella most. The kind you created your cards looks very good. I like it. Shirley, I LOVE THIS CARD so much, the lovely watercolor Tim Holtz figure, just took my breath away, !!!! I yelled at my hubby to look, he agrees, it is awesome!!! Eek! I just love the silhouette - perfect for the umbrella challenge! That birdie looks like a Dina Wakely - you got the set! Love the gorgeous design! Both beautiful. The rainbow umbrella man makes me smile. Wonderful idea. Congrats on your win at Jugs! Great cards. 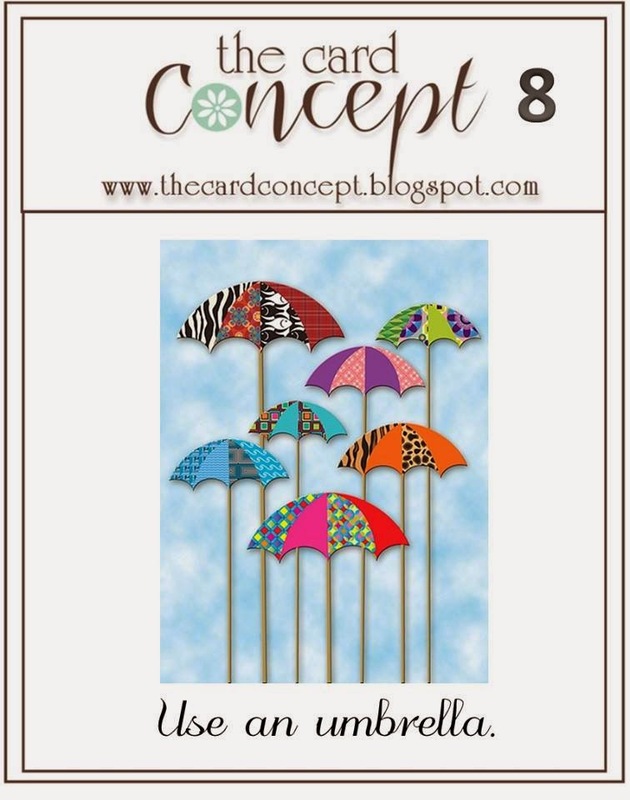 I totally love these cards - the silhouette umbrella man is genius :) Love your style, Shirley! Another well deserved win! Congrats on being Chick of the Week over at JUGS!! Love both of your cards and the first is definitely CAS--lots and lots of white space! They are both truly gorgeous. The incredibly rich colors on umbrella man are stunning. And your sweet bird is softly and beautifully colored! Shirley this is such a creative card! Thank you so much for sharing with us the Card Concept! Love bright umbrella man. I tried him in flowers the other day but he didn't quite work. Yours is fab. Love the bird as well. LOVE umbrella man...will have to case it. Colors of both cards are fab. Congrats on your HM at KIS - this is one COOL card! Awesome and so amazing!!! Thanks for sharing!! Such a cleverly done card! Congrats on the shout out from MFW!! I seen the umbrella card on Pinterest and loved it so much that it made my decision to finally buy the tim holtz die. Thank you so much. I love the card and will have to case it.